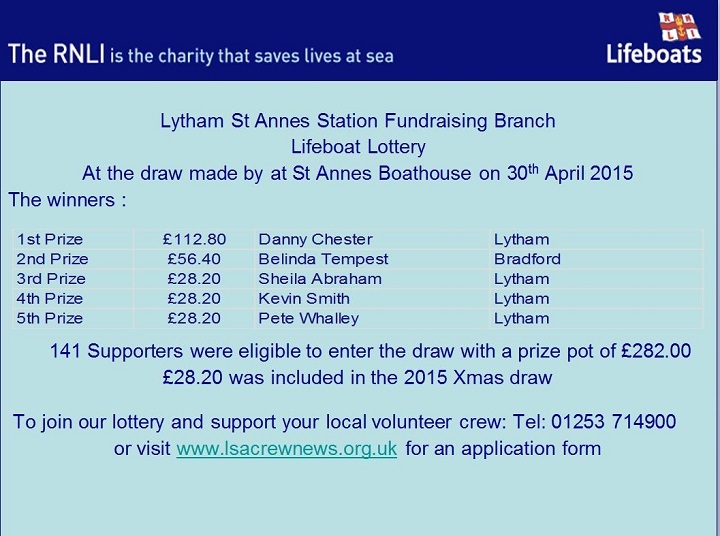 The April Lytham St Annes Lifeboat Lottery Draw took place on Thursday 30th April prior to the evening afloat exercise. In a slight change to our normal procedure, the numbers this month were drawn by a distinguished visitor to the station Mr Steven Kingsbury. Mr Kingsbury, who is blind, visited the station in the 1970s to record a radio program. He asked if he could come back some 30+ years later to do the same again.